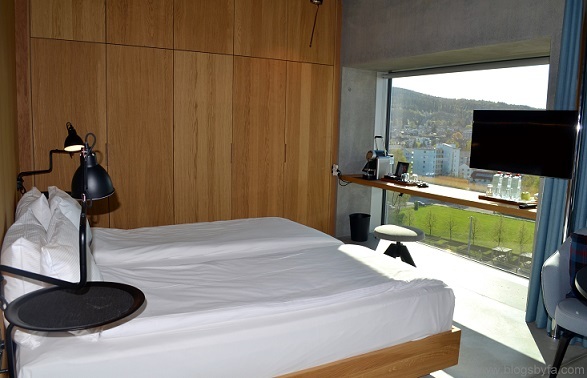 Modern architecture with contemporary design and 87 rooms with top-quality furnishings including lofts and suites that offer comfort and panoramic views of the metropolis is the major highlight of Placid Hotel Zurich. Inspired by urban architecture and being 40 metres high, this 4 star hotel in Zurich has been given a timeless design by E2A Architekten. 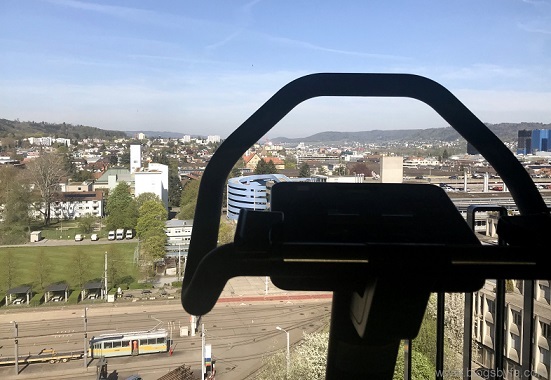 The hotel is connected to Zurich-Alstetten, a popular business district of the city, making it popular among the business travelers, leisure seekers and families alike. Initially I was a wee bit apprehensive regarding parking in Zurich, but then was much relieved to learn that Placid Hotel Zurich has their own private garage in the basement and that's where we put our car for the night. Parking fee is CHF 25 per night, but getting a covered space under camera surveillance couldn't make it more convenient. 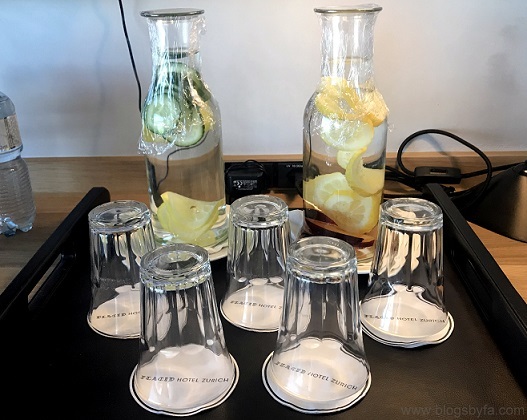 The taps in the hotel rooms boost fresh Swiss spring water, yet we found bottled water in our room, which I was quick to grab as it had been a particularly warm day. 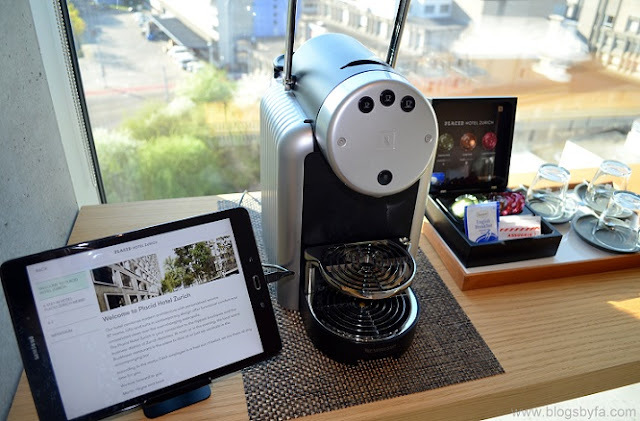 For coffee lovers, the room had a Nespresso coffee machine as well as a selection of teas for those fancying a cuppa. On our 10th floor, there was also a fitness room with different exercise equipment such as weight and weight bench, treadmills, cross trainer, bike, seat bike & multi function devices in addition to towels, infused drinking water, fruits and a TV that the users could benefit from while having panoramic views of the metropolis, 24 hours a day. Also, the hotel will soon open up a ‘Room of Silence’ on the first floor where guests will be able to enjoy peaceful moments or meditate. 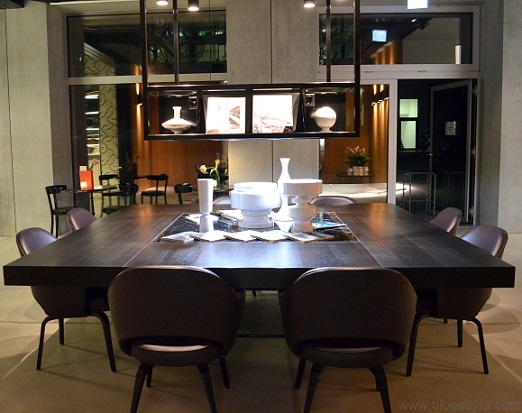 It totally skipped out of my mind to visit the living room on the 9th floor, but I believe it’s a place for guests to relax while enjoying their favorite TV program. The suites, loft and corner rooms also include slippers and bathrobes for guests and I’m glad we stayed in a room that had these! Our bedding was clean and crisp, the mattress and the pillows were comfortable and although the hotel has a variety of pillows to choose from, we didn’t feel the need to get them exchanged with any other. Toiletries in the room, including bath and shower gel, lotion, mouth wash and the massage pad, were handy as they helped us in keeping our amount of luggage down. An eco-friendly heating and cooling system is operational at the hotel while the rooms feature an impressive, automatic sliding window which is triggered to close shut when it gets too windy or during rain. Buckhuser restaurant at Placid has a garden terrace which turned out to be a lively, friendly and a pleasing place for a dine-in. 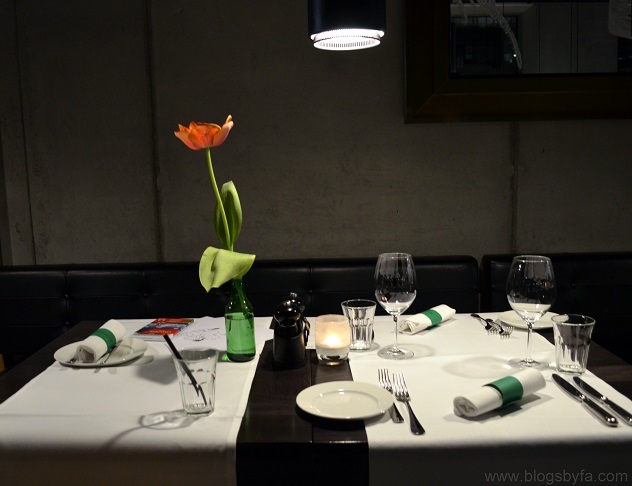 Apart from the dinner menu, it has a bar service and remains open from 6:30 am till midnight. Our table for dinner had already been reserved at the restaurant, and we were spoiled for choice at the time of ordering. 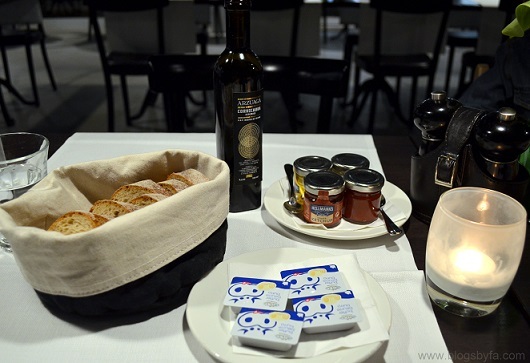 Starting off with a glass of Swiss sparkling water and a slice of garlic bread smothered with butter, we moved on to our mains - Orecchiette Arrabbiata (large for CHF 26.50) for me and Red perch filet (CHF 36.50) for husband. BabyN’ enjoyed his meal - mashed potatoes and fish moulded in different character shapes that got him going well having fun with food! 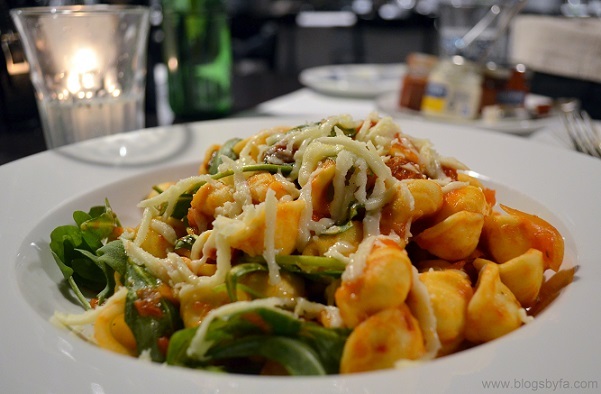 Available in two portion sizes and served with chicken strips and chorizo with a surcharge, the Orecchiette Arrabbiata had been cooked with three tomato sauces and olives with a topping of rucola. 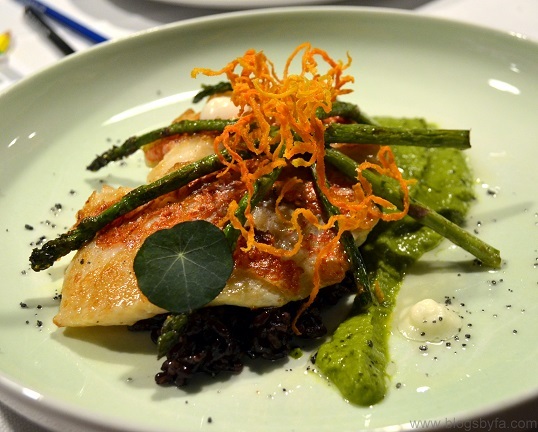 The Red perch filet was beautifully presented, was very flavoursome and the combination of herb-coulis, Venere rice, celery-espuma and Pyrenees wild asparagus worked really well. This is definitely one of the best dishes I’ve eaten so far! The consistency of the spices was delightful and Chef de Cuisine Roman Pauswek's creativity and attention to detail to culinary cooking was much apparent with the food we enjoyed that evening. For the dessert, we ordered a heavenly Banana Split (CHF 12.50) and a chocolate lava cake (CHF 12.50). 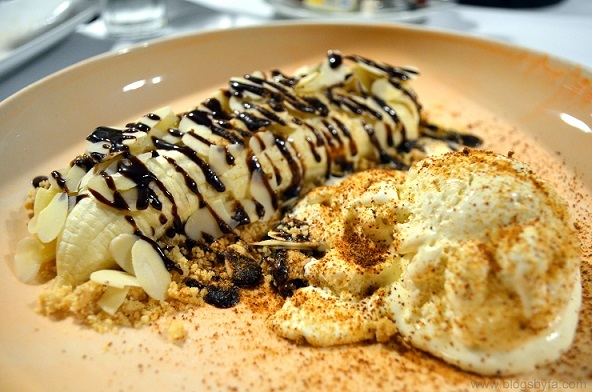 Presented beautifully and served with Swiss vanilla dream ice cream, the banana was topped with a chocolate sauce and toasted almonds. 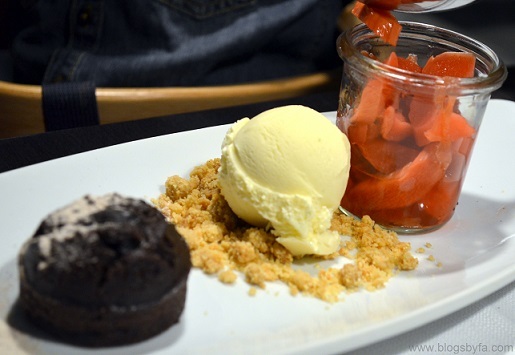 The lava cake was served with rhubarb strawberry compote and homemade sour cream ice cream, a beautiful combination to finish off the meal. The hotel serves breakfast also at the Buckhuser restaurant where guests get to choose from three choices - Grab ‘n’ go that includes coffee, mini croissant and muffin for those in a hurry and costs CHF 5.90 while the other options include a continental breakfast (buffet with regional specialities CHF 14.90) and Placid breakfast (regional buffet with A la carte egg dishes and prosecco CHF 24.90). 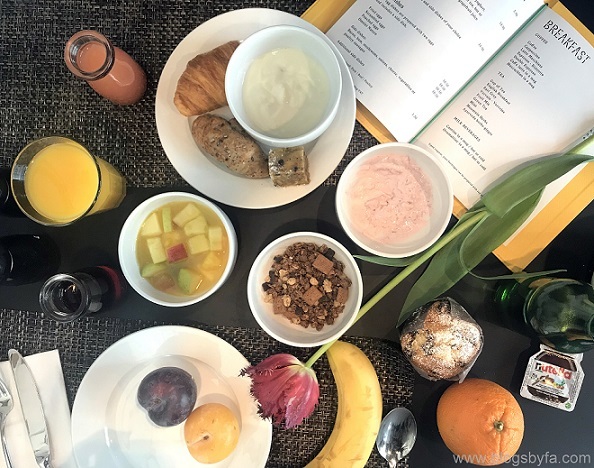 Since we had lots of time to spare in the morning, we were thoroughly able to enjoy our continental breakfast served at the Buckhuser restaurant from 7:00 am till 10:00 am on weekdays and till 2:00 pm on weekends. The variety was great to charge us up for the day’s upcoming activities. There was an array of juices, different types of breads, fruits and yoghurt, cereal bar, fresh muffins, different types of Swiss cheese and rashers. The restaurants also had a menu on the table but the variety was enough for us and we didn’t feel the need for ordering anything else. 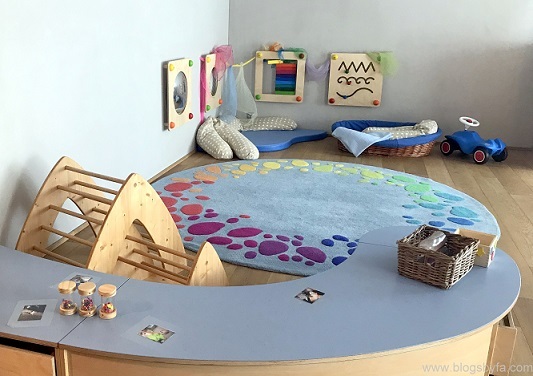 Childcare Kids Club at Placid Hotel Zurich aimed for children 3 years and above (charges apply) is one of the major highlights at the hotel, especially because most of the guests are professionals and entrepreneurs. 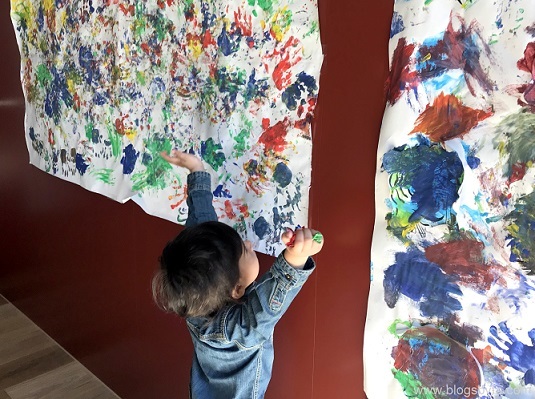 This facility is perfect for professionals to leave the kids in safe hands while they perform their tasks and get to see happy faces once they’re back. Initially when I was browsing on the hotel’s website, I thought this must be like one common ground where all kids could be found. However, I was glad to see that the facility had been divided into different rooms meant for different age groups and were equipped with the age approximate toys, activities and even feeding facility. BabyN’ jumped with excitement on spotting the baskets full of toys which convinced me to utilize this option next time I’m in Zurich. 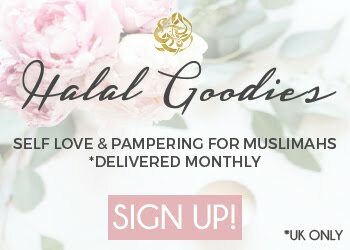 Good thing is that the place is not hotel’s guest exclusive but anyone can avail it and send their kids during it’s opening timings. The free WiFi at the hotel was handy because BabyN’ could enjoy watching his iPad after retiring from the day’s activities. 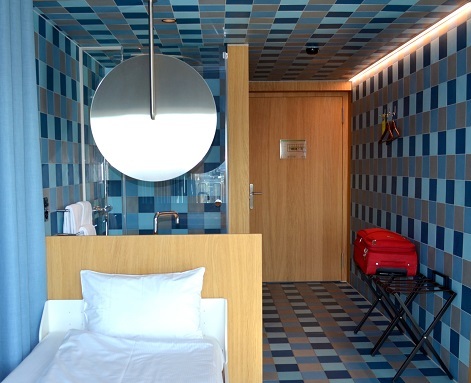 Through the room phone, guests can also make free calls throughout Central Europe and the Samsung tablet in our room was perfect for browsing the Internet, playing games and emailing. Business corner on the 9th floor has a printing facility that makes it easy to get copies of any important business or travel documents as required. To facilitate the business travellers, they've also provided five multi functional conference rooms, a lobby with coffee table, a printer and a scanner. Room facilities include iron & ironing board available on request and shoe cleaning service machines at different locations. The TV in our room had both national and international channels that came in up to 12 different languages including German, English, French, Italian, Spanish, Russian, Arabic, Chinese, Thai, Dutch, Turkish, Portuguese and Vietnamese. Zurich is quite a busy metropolitan city and it’s great to spend 24 hours to explore the suburbs. We had our own car, otherwise we would have requested the hotel for two-wheelers to cycle around Zurich and gel in with the city's bike culture. 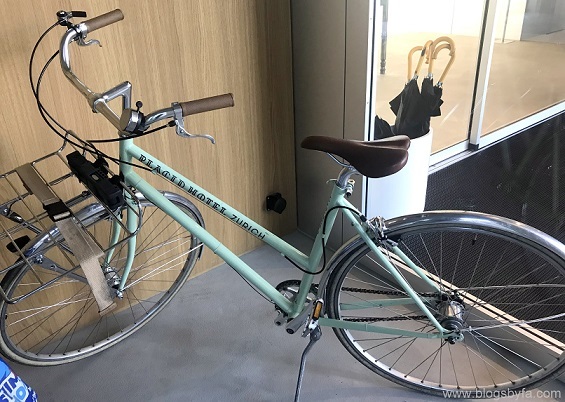 The bikes called Moritz and Marlene manufactured by Zweiradgeber in Zurich are provided free of charge and come with with helmets, rain protection and excursion tips. 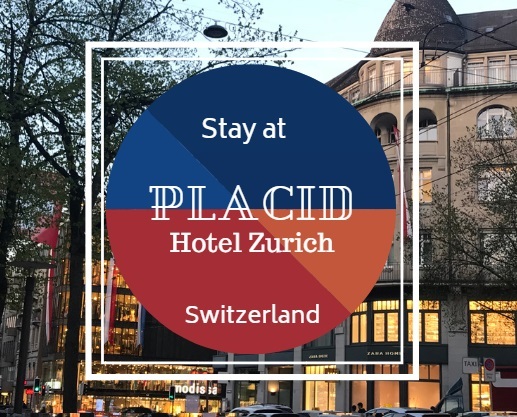 Stay at Placid Hotel Zurich was fantastic not just because of the great hospitality, but also due to the facilities available at the hotel and it’s prime location in Zurich. 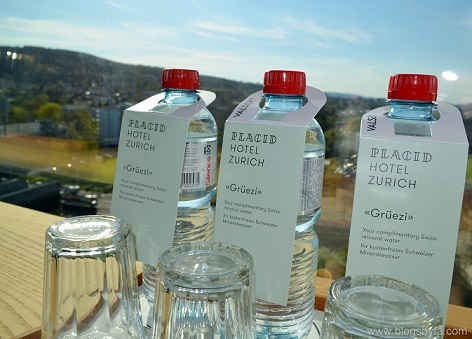 Placid Hotel Zurich is a pet friendly hotel and guests can bring it along at an extra charge. 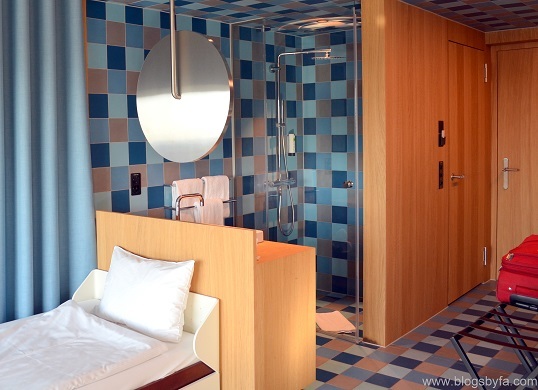 Option of extending the stay is also available with a charge of CHF 10 per hour. During our stay in Zurich, we visited the Bahnhofstrasse in downtown for a great shopping experience and from there went on to explore the rest of the town center. Parking in Zurich’s town center is free after 8:00 pm. The spring season meant we had enough time after that to walk around the buzzing streets before ending the day with a beautiful sundown at the Zurich River. I've wanted to go to Switzerland for a long time. The Placid Hotel looks exactly the type of place I would stay too. 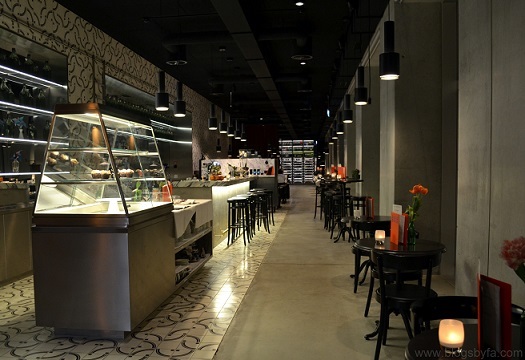 Love the decor, great views and that food! That hotel looks incredible! I love the vibrant patterns in the room. And having a kids play area is great for letting you relax. Food looks amazing too. That’s a Kids Club where parents can leave kids, basically like a babysitting service but there’s a free outdoor play area outside the hotel too. 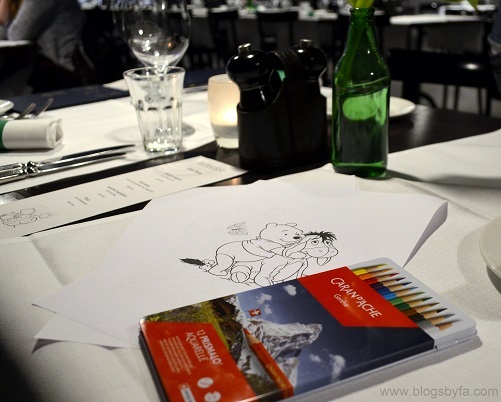 The Kid’s Club is great to entertain the kids or to leave them behind if one’s on a business trip. 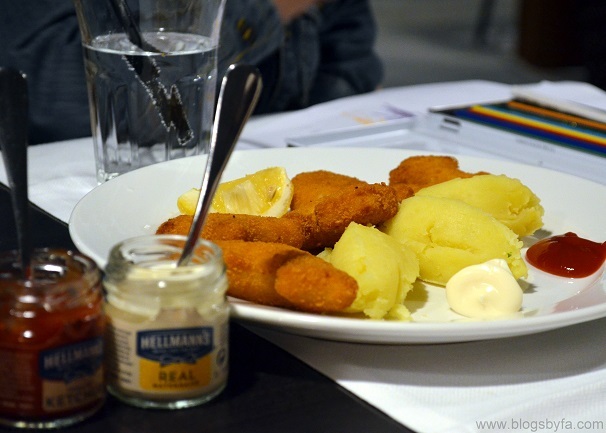 The food at the restaurant was quite good, especially the fish! It was the best I’ve ever eaten. Oh yes! Great view of the metropolis. 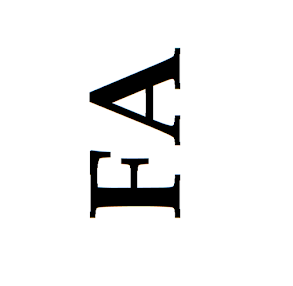 I’ve been to Geneva too, especially went there to see the Broken Chair. Yes, absolutely! There wasn’t anything else that we could have asked for instead of just a shower curtain. 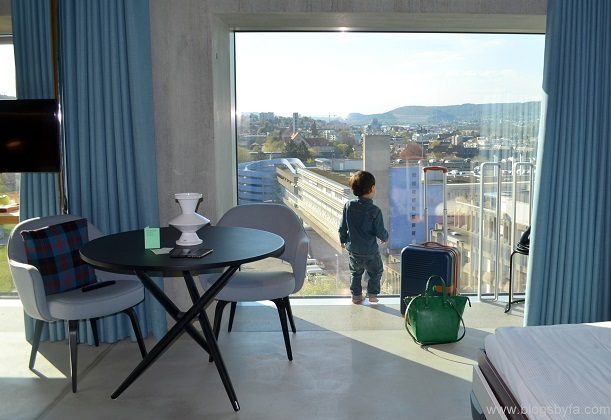 Switzerland is quite expensive although we have only been to Montreal with the kids - this looks so moderately priced and loving the panorama windows! What a lovely looking hotel. I love the idea of a "room of silence" for meditation. You can't imagine that happening in London hotels somehow, can you?